This season’s northern athletics championships were held over two days at the newly re-furbished Wavertree Athletics Centre in Liverpool. Sunday turned out to be a golden day for high jumper Sandy Clarkson who took the U15 title with a leap of 1.76m to equal his personal best. There were medals too for fellow high jumpers, Owen Southern who took silver in the U17 age group with a clearance of 1.86m and Tom Kwissa. 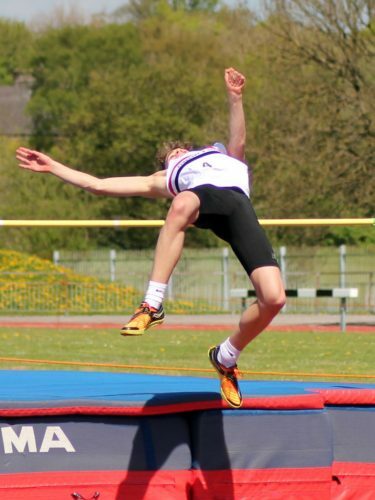 Tom has been in the shadow of Owen for most of this season but he also cleared 1.86m to achieve a personal best performance and take the bronze medal on count back. Owen added to his medal tally with bronze in the 200m (24.2 sec.) High jump coach, Dave McComb will be pleased with his tally of 3 medals. 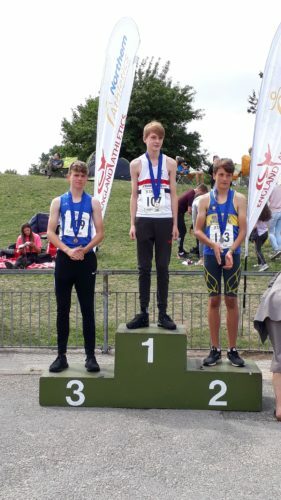 There was an outstanding [performance on the track where U15 Mark Roberts smashed his pb when running the 800m (2:02.11) to claim silver. This performance came after Mark spent most of last season out injured. 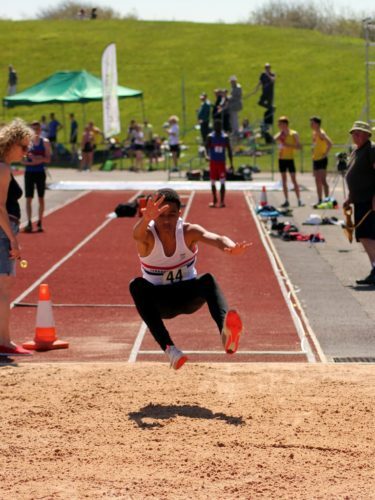 The club’s other medal came from Thomas Ralfs, whose first season competing in the triple jump was rewarded with a silver medal (9.82m). Phil Whitfield will be pleased with his other jumpers, who despite not achieving medals, a number of them were able to improve their own individual performances. Grace Mitchell (U15) finished 6th in the long jump with her best ever leap of 4.96m and had a good run in the 200m (28.97 sec). Jamie Hopkins (U17M) also managed a pb in the long jump (5.61m) where he finished 4th, as he did in the 100m hurdles (15.96m) Erin Birchall U17W was 7th in the long jump (5.06m) while Isobel Ashcroft (U15G) was below her best in the long jump(3.96m), as was Katelyn Swift (U13) in the long jump (3.83m) and discus (17.12m). 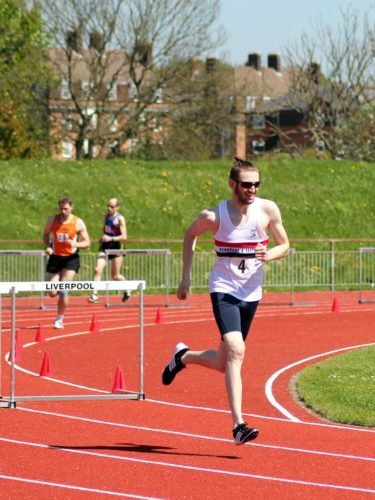 Elsewhere on the track, Marcus Bathie signed off with his final performance for the club by finishing 4th in the 400m hurdles in a new pb of 62.81 sec. We wish Marcus well in his new life in York. 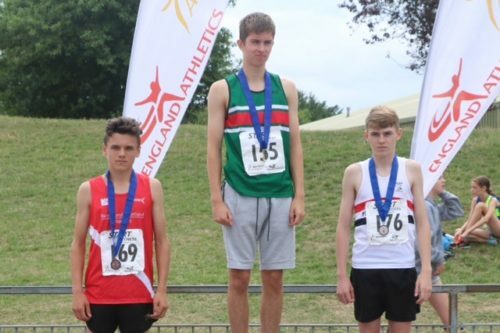 Sprinters, Matthew Hughes (U15B) was 6th in the 200m (25.14), Ciaran Scroggie (U17M) was 7th over the same distance (25.4) and Tayla Reilly (U17W) ran 15.01 in the 100m and jumped 4.05m in the long jump.